You jumped in a cold yet revitalizing waterfall, hiked some scenic trails and even saw a coquí frog. But now your stomach is grumbling and you need to remedy the situation before you start considering eating what looks like a delicious red berry (and is actually a poisonous seed). Don’t fret, we’ve got you covered! The only rain forest in the US National Forest system, El Yunque has one of the most diverse ecosystems, home to hundreds of unique flora and fauna – and its only 35 miles East of San Juan. The lush, jungle-like setting is full of walk-able trails, cascades, rivers and gorgeous foliage. 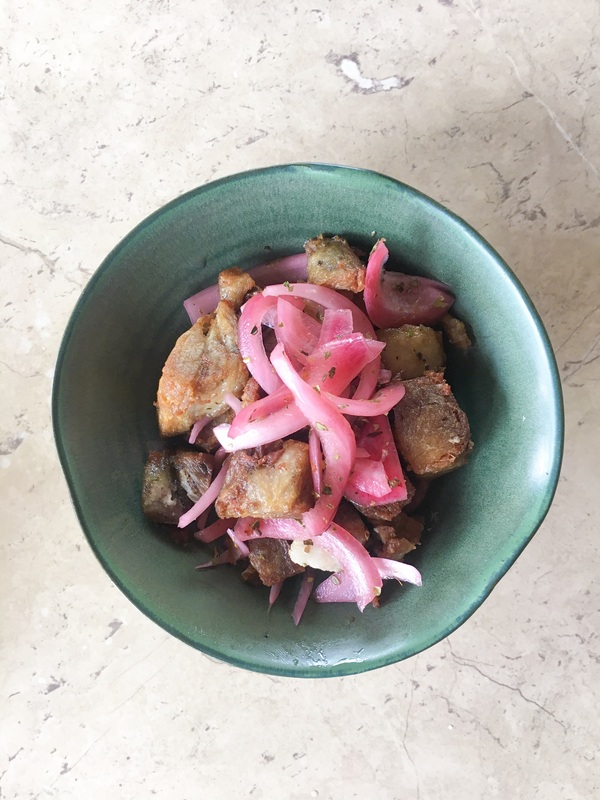 On to the food… Right off Route 191 sits your salvation: El Yunque Treehouse, the newest venture by Chef Víctor Rosado. 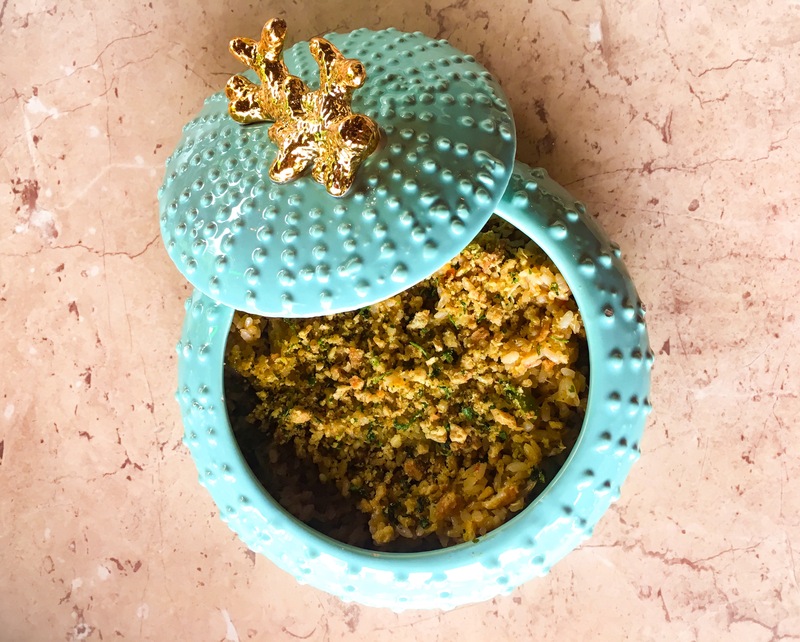 Chef Rosado has had quite the training – he’s worked with both José Andres and Jean George Vongerichten, two powerhouse chefs with award winning restaurants around the world, so we knew this place was going to be so a step above anything in the area. 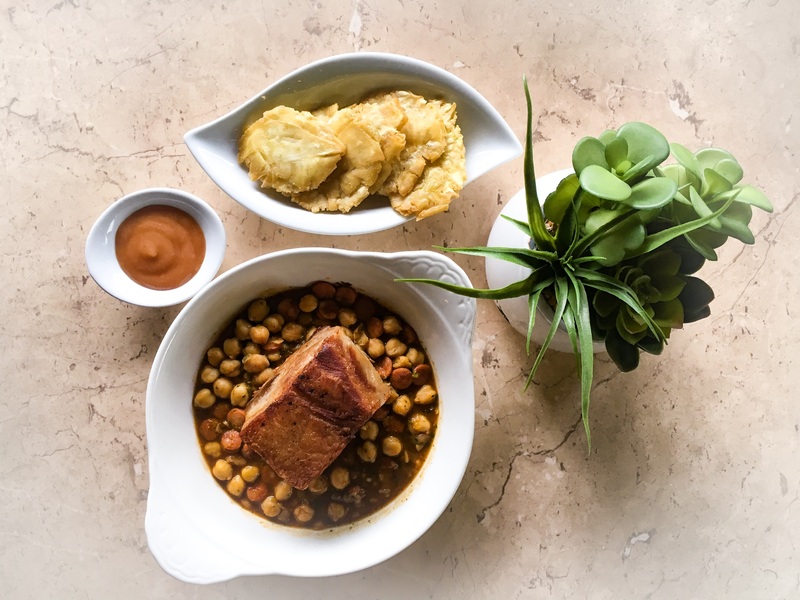 Chef Rosado’s Puerto Rican focused menu includes dishes like sorrulitos de maíz (corn fritters), red snapper ceviche, fried pork with pickled onions, chistorra skewers, arroz con salmorejo de jeuyes (rice with stewed crab) among other dishes. It’s not just the some of the best food you’ll find in Río Grande, but a fantastic restaurant to visit no matter the occasion, whether you’re a visitor or a local. The setting is casual, so shorts, sneakers, flip flops are ok! If you’re into crafted cocktails, Lord Coquí knows we are, make sure to order the Don’t Go Chasing Waterfalls by the Treehouse’s own resident mixologist, John Rodríguez.